Buffet restaurants are like vacations for me, some may be better than others but I love them all. Elaine on the other hand is like many other finicky, uppity eaters who refuse to look down their nose through the sneeze glass to scoop and tong and ladle the dishes they desire at the portions they prefer. This to me is the ultimate egalitarian dining experience where hungry citizens eat whatever they please whenever they please for as long as they please. It is never as long as I’d hoped going into the meal and far too long afterwards as the sidewalls of my stomach stretch painfully, suffering from the free-for-all my mind and eyes and mouth and hands had at its expense. It is obvious that many of my fellow buffeters do not suffer the same limited storage problem that I do and perhaps that is why places such as the Old County Buffet and virtually every other buffet restaurant I have grown to love has been forced out of business. It might just be that as their popularity amongst the heavy hitters grows, their profits diminish in direct proportion to the expansion of their clientelles’ midsection. At any rate, Elaine’s tummy seldom suffers at a buffet because she does not suffer buffets, partly because of the earthy, well-fed crowds they often attract that she finds unattractive. Being fair-minded to a fault, I have never seen her point. But she is a sensitive thing and I would argue, a bit of a fool in that she continually has tossed out the baby with dishwater, buffetly speaking. One of her favorite stories goes back probably 27 years when it was just her and I and the Valley had two long-gone Chuck Wagon Buffets (one where the Grocery Outlet is at Havana and Sprague, and one where the Plasma Center is at Sprague and Farr). I remember we got in a bit of an argument about where to have a late lunch one Saturday. It centered around the unfairness I felt about living in the Valley with two buffets beckoning to me like sirens as I drove by at least one nearly everyday and yet I could not enjoy their bounty because this crazy lady I married refused to enter their doors. But I almost got my way that day as she begrudgingly gave in and agreed to dine at the Chuck Wagon on Havana. There we were just a few feet from the cashier when the couple in front of us turned around to make small talk in a friendly sort of way. The trouble was the man’s generous belly peeked out grossly from below his dirty tight shirt and the woman had more teeth missing than she had present. It was more than Elaine could endure and she wheeled around in disgust, leaving me alone in line with my new buddies as she crossed the street to eat at McDonald’s, which was normally beneath her sensibilities as well. There was no way I was about to follow my snooty little bride with the smell of all those tasty dishes prancing around my nostrils. I think she wanted my agony that night to teach me that she was right about buffets and hence pretty much right about everything. The years have unfolded to teach her that I learned neither lesson on that painful night. In fact, though I was a bit suspicious I never thought it fair to be certain it was food poison. Maybe it was a brief and violent flu bug. At any rate, I was willing to be generous and forgiving, never allowing my Chuck Wagon upchucking to dampen my enthusiasm for buffet dining. After the kids, who all rejected their mother’s snobbery position and embraced my slobbery one, came along, I no longer had to buffet it alone. The Old Country Buffet where we dined Motherless and they ate like little heathens and drank chocolate milk like rock stars, will forever be cherished memories for them as I still cherish the Sunday buffets of my childhood including Tony’s on Couer D Alene Lake and U City’s Golden Hour (where I had the tastiest job during high school slicing the barren of beef each Sunday at the end of that historic buffet line.) Later in my teen years the Red Lion put forth a Sunday breakfast brunch that still makes my stomach growl and eyes moist every time I walk through the large passage way going into The Max at Mirabeau where they set up their incredible repast each Sunday. 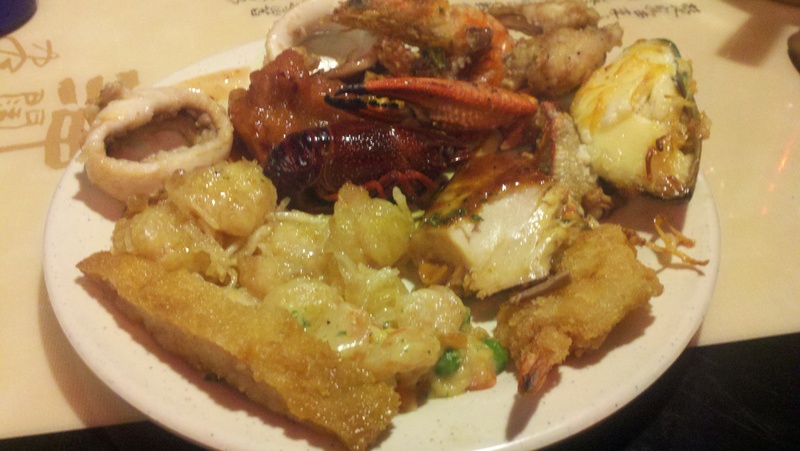 Flash forward 35 years to the Hong Kong Buffet at the Valley Mall where a lifetime of making a pig of myself at buffet lines meets two of my most favorite foods : oriental and seafood. It is so good that Elaine looks forward to our second annual Mother’s Day meal there. Keep in mind it is Mother’s Day and so it is her call. To be able to say that is one of my life’s richest rewards. 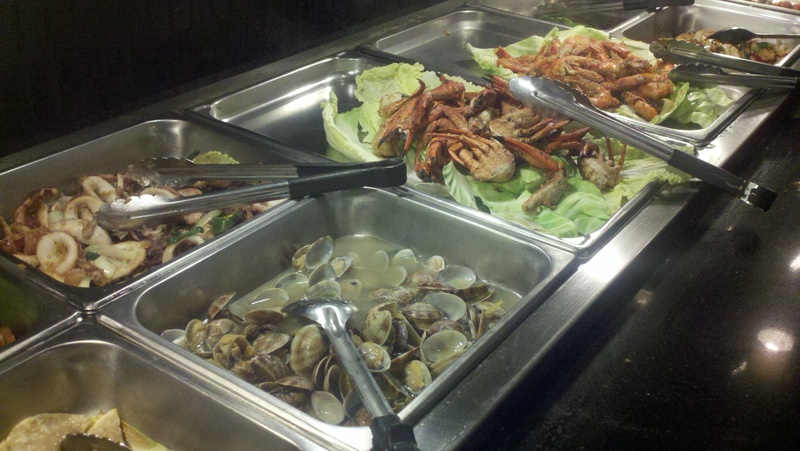 I hold the Hong Kong high as my personal bastion of buffets based upon a lifetime of enthusiastic connoiseurism. I have snorted and stuffed my way through worthy buffet lines offered up by the Couer D’ Alene Resort at a few Thanksgivings and several Sundays, I ate myself silly at Suzy’s seafood smorgasboard on several Friday nights back in the day on Trent before that icon went down in a blaze of glory. I have feasted like a fool along the Vegas strip for breakfast, lunch, dinner and midnight snack. When the Longhorn and Kentucky Fried Chicken went buffet, I went nuts. If buffet eating were a destructive habit, I would not have made it out of my 20’s. 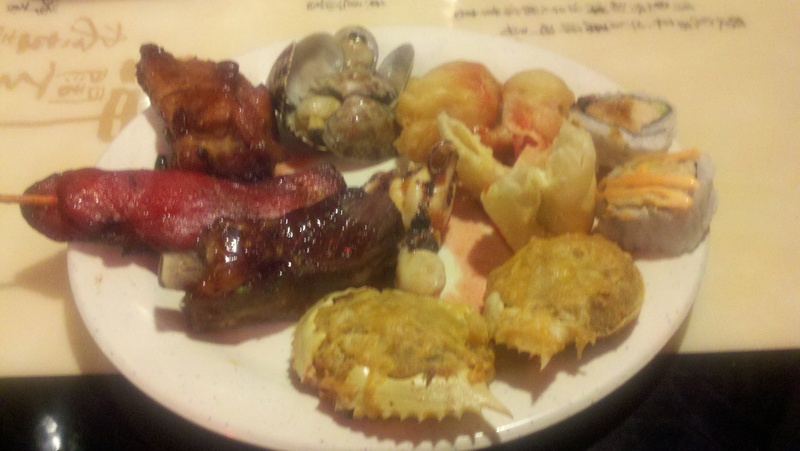 And so when I say the Hong Kong Buffet is good, don’t trust me. I have never met a buffet that I did not like. But when I tell you that Elaine likes the Hong Kong Buffet, you must listen. I mean she is still a snooty little thing and does not like some things about the place like the occasional Buddha belly and the rather tacky but typical Oriental decor. (And I myself wish the staff had better rule over the English language so they understood what “football” meant when I ask them to change the channel). But she has finally come to see there is a buffet line here in the Valley with a vast array of delicious dishes that rises above the scenery and meets her incredible standards. And so it falls on me to use whatever gifts of prose God gave me, to use all that I have learned about internet Search Engine Optimization to draw people into this deserving Valley jewel so that the kids and I can eat like heathens with Mom on every Mother’s Day for as long as we both shall live. I mean if you love seafood like I do this place will make you wish you had a whale of a belly so you could eat like a horse. 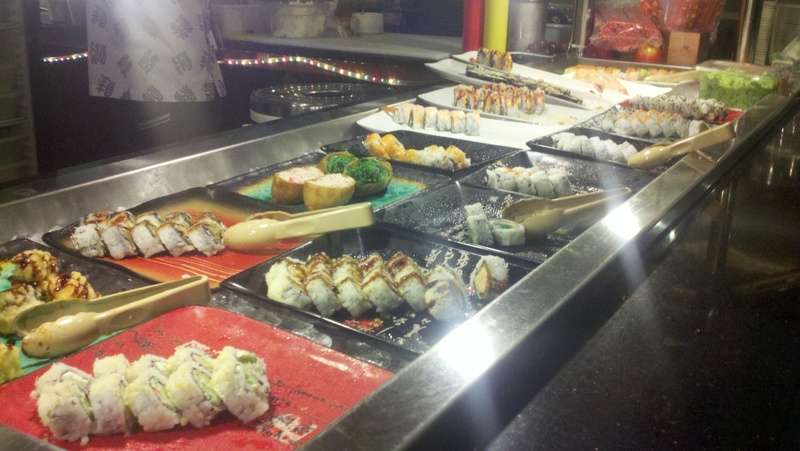 Then there is their sushi bar complete with a sushi chef making the stuff up as fast as the diners can put it away. This is round one and I have to be very careful because I can only go two rounds. 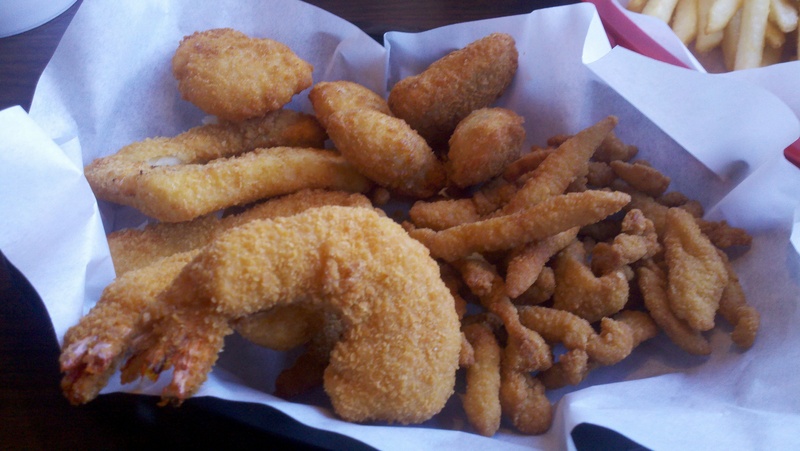 Each morsel on this plate has earned the right to be there. The peanut chicken in the left foreground is fantastic but narrowly made the plate as it is almost crowded out by the heavenly coconut shrimp. And look up, there next to the glimmering mussel on the right is a frog's leg which I have to have one of every time I go because where else in this town can a guy get an honest-to-goodness frog leg? This is round two and each item would have been first string at any other buffet. If you notice there are no repeats and also that this plate is slightly less crowded. Both are because of tummy restraints. If it were up to my mind's eye and tongue's tastebuds, this plate would be piled high with more to follow. Those little stuffed crabshells in front are so tasty I save them for last because they are like dessert. And this is Jacque, the youngest of my four little heathens, so full of amazing Oriental food that she begins to look like a giesha girl. Notice how she gloats in her father's face because she is able to still eat dessert while he can only burp and groan, no longer having so much as a spoonful of stomach space left. Considering that we are located along the same longitude as the seafaring, seafood-loving Scandinavian countries and hence the blood of those countries flows through the veins of so many Valley natives , it has always struck me as odd that the Spokane Valley is bereft of seafood restaurants. There is not one in the Valley and I have to go back to the beginning of our marriage, 28 years ago, to recall a time when things were different. Looking back, it brings to mind Richard Harris speaking forlornly : “Don’t let it be forgot / That once there was a spot / For one brief shining moment / That was known as Camelot!” That is exactly how I feel about the old Sea Galley where Elaine worked as a waitress not long after we were married. She had actually begun her waitressing career at another long-ago-and-far-away-but-not-to-be-forgot downtown sandwich and dessert shop called The Early Dawn Ice Creamery on the street level of the Parkade. From there she moved to the Valley and worked briefly at another golden memory called the Golden Hour at University City in 1984 just prior to Pat and Greg Kreotch taking over, closing for remodel, and then renaming it Percy’s Eating and Drinking Establishment. That was a lifetime ago, (at least for the Valley’s beloved Percy’s) but I have carried a torch in my heart for The Sea Galley where Elaine went after we realized the remodelling was going to last longer than our savings. It is interesting looking back because those are what I would rank as the two best restaurants the Valley has ever seen, in my years at least. The Golden Hour and The Sea Galley were culinary versions of King Arthur and Sir Lancalot. 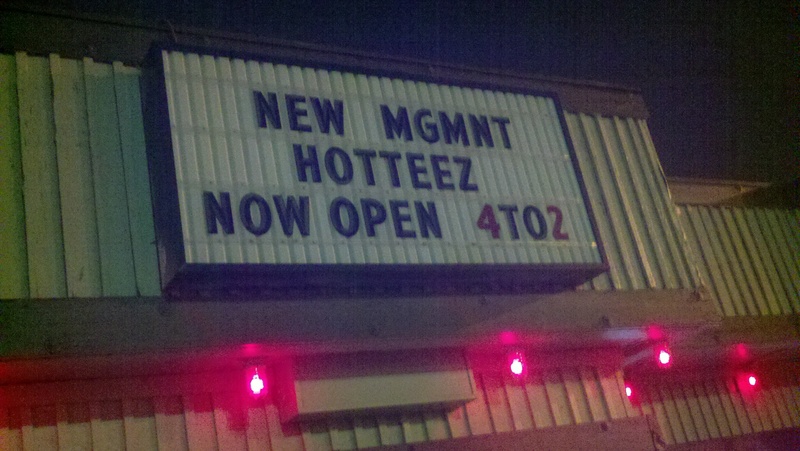 For a brief time, they were the brightest stars in the hospitality heavens in Spokane Valley. There were a few other great though slightly less noble spots nearby that also have fond memories still rumbling in my tumbly. How could a kid not love the old IHOP with its careening blue roof sheltering the most sinfully scrummy pancakes and waffes and crepes. In the now-distant time before the Happy Meal, IHOP was every kids vote for dinner. It was like going to the candy store for supper. Then there was the old Holland House attached to Newberry’s east side at University City. That was back when they called buffets smorgasboards. They should have called them gorgeasboards because that is what diners did, gorge themselves. To top it all off there was the Karmel Korn Shop just across the mall from Newberry”s, where the tastiest form of carmel popcorn the world has ever seen was stirred up with a large wooden paddle in a shiny copper kettle the size of a wine barrel. Those were the days when a place like the Sea Galley and the Golden Hour were able to swoon the Valley through their doors just by laying out steaming good food that drew healthy crowds by the dent of their scent and words from their appreciative customers’ mouths. How far that is from then to today as the Valley’s mall sprawls far from its center on the other side of I-90, with its corporate franchise restaurants resting on their parking lot pads, using national, million-dollar marketing campaigns to draw customers like mouths to a flame. Not one of them could hold a candle to the Holland House, let alone the Golden Hour or my beloved Sea Galley. Time, of course, adds seasoning to all the dishes I fondly remember from those beloved old places. It was way back at the Sea Galley, where I dined every Friday night and my young bride served me, that I always ordered my favorite version of a dish served by many restaurants called “The Captain’s Plate”. 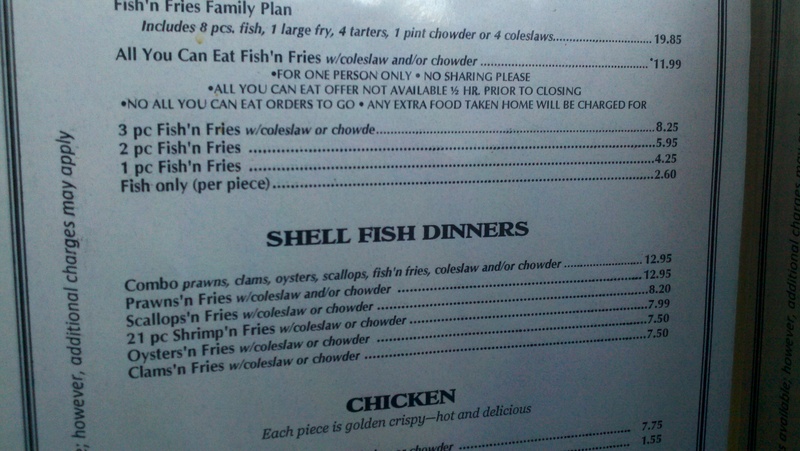 It typically comes with deep-fried clams, shrimp and fish filet accompanied by a potato and salad, preferably coleslaw. The Sea Galley outclassed every place I have ordered the Captain’s Plate by giving me a merry go around their circular salad bar that my belly’s eye still weeps for as it lovingly dreams of their baked beans and jello and a vast selection of savory salads . I have tried the Captain’s Plate at dozens of places through the years and not only has no one ever offered anything remotely close to the Sea Galley’s round salad bar of delight, nor has anyone in modern times come close to the quality of the fish, the texture and taste of the clams and the succulence of the shrimp. I have eaten the C Plate once at the Northside’s Red Lobster and once at the Valley’s Black Angus and will never return if mine is the deciding vote because I put them both up to bat at the old C Plate and they struck out like the mighty Casey. I know that of which I speak concerning this matter of the Captain’s Plate, the dish that I have ordered a hundred different times at a hundred different places. I had actually given up on it because no one seems to be able to deliver the goods any more except one place that I had all but forgotten about until this Summer. That would be a lowly but lovely little diner out on Wellesly in Otis Orchards called Pryor’s. I used to build homes out there in the early 90’s and had their Captain’s Plate for lunch at least once a week. This summer I was at a wedding up at Riplet’s Mansion and a lady came up to me and said “Captain’s Plate with fries,chowder and coleslaw, right?” I had no idea who she was or what she was talking about . Come to find out she was one of the owners of Pryor’s and had served me my lunches in those few years I had worked out in Otis Orchards 15 or so years before. That reminded me that there still existed a place that served a Captain’s Plate that made me heart swell like a puffer fish, not to mention me tummy. So it wasn’t long before I found an excuse to be in Pryor’s vicinity around the vicinity of lunchtime. I was curious to see if they were still able to put out what others have failed to do. I was very nervous as I waited for my meal to arrive. Fifteen years, after all, is a long time to maintain a standard of excellence. But then my coleslaw arrived and it was just as creamy and full of flavor as I remembered it. 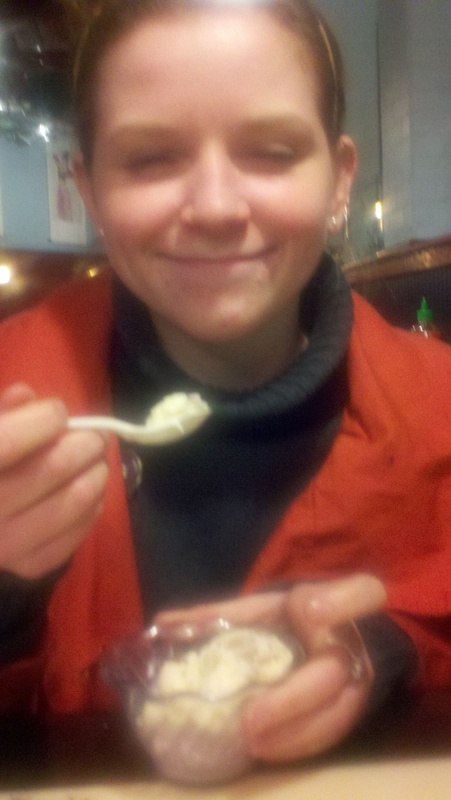 Then came my clam chowder and I began to quiver with excitement as I tasted the same rich chowder that I remembered. My stomach did flips like a Sea World dolphin as it looked forward to the prawns and filets and clams it had not seen in 15 years. On top of all this, Pryor’s does something that no one, not even the mighty Galley of lore did: they pack the plate with two more delicacies, two of my favorites: the oyster and scallop.I have found no one but Pryor’s, in all my vast experience of ordering the Captain’s Plate across America and up into Canada, has ever included both of these worthy mollusks on the C Plate where they so richly deserve to be bedded amongst the other little fishies. And so after every last piece of Pryor’s prizeworthy C Plate had plummeted down into my paunch and I ached in ecstasy, I slowly stood and waddled my way out. I could barely make it through the door because I was beside myself knowing that even though the Galley of my youth had long ago sailed away with the other worthy vessels like the Holland House, IHOP and the Golden Hour that had so nobly served the Valley from their U City district moorings, Pryor’s still served a worthy Captain’s Plate. The thought of it warmed my Scandinavian blood as it rushed to my swollen belly to help digest all that sumptuous seafood. Ecstasy in a basket. Not shown in this picture are the highly worthy supporting characters: Coleslaw, fries and chowder. If you love shellfish, I highly recommend a Pryor engagement. On April 25, 2010 I posted my first blog. It was on the opening of The Luxury Box in the Spokane Valley where Percy’s Americana Cafe had been and The Golden Hour before that. Now my 70th blog, coming approximately two years later, is on their closing at the end of February. It is not what I hoped for Tina Bishop and her family. They put their hearts into it and I would say that Tina put in more hours than most owners, by quite a bit. She sat down with me last night at her restaurant and told me that they had decided on Sunday to pack it up. She said that while her banquet facility had done well, the restaurant and bar were never money makers. She also said that they were hoping to keep the banquet part of the business going if they can work out a deal with the landlord. Before they opened, I barely knew Tina but I became a friend and supporter as well an admirer of her work ethic within the first few months. Because of that, I feel bad that it did not work out as she had hoped. I know from personal experience that it is very painful to walk away from something that you have invested so much emotion and effort and time and money into. But I can also attest to there being an afterlife, which Tina will flourish at as she continues with the event planning career she has done well at for years. I am not worried about her future, just a bit sorry for what she has passed through. For me yesterday afternoon was the definition of bittersweet. Before I happened to go into The Luxury Box to meet a couple of friends for a drink, I had spent an hour or so interviewing Fred Lopez who is getting ready to open his new place, The Ref, at the end of the month. Fred is going to make a very good feature for my newsletter because he has a great story and his new place and the ideas that he has for it are pretty exciting. The only reason that I got to know Fred recently was because of the last blog that I wrote in which I announced the closing of Holly Rock and talked about the great risks of getting into the business. I was a bit pessimistic perhaps in my references in the blog to The Ref’s imminent opening and Fred took exception to it in a comment. He also invited me to come in and meet him and see what he was planning. I did on Monday and was impressed by him and his ideas and what he is about to unfold for our pleasure and his profit. We set up a meeting for my interview the next day. Both Tina and Fred know that I would have all but begged them not to have entered the game. It looks fun but the waters can be treacherous. Back when we owned The Rock Inn, I remember being amazed by what a commonly held dream it was to own a place. People were constantly coming up to me and telling me about their dream of opening a bar or sandwich shop or bistro. I think a lot of people are creative and enjoy hosting parties and entertaining guests and so the hospitality industry looks like a lot of fun. And it can be a lot of fun, but it can also be deadly . It always reminded me of a story Elaine’s brother told me that he lived through when he was a young man of about 19 in the Coast Guard based on the Puget Sound. He said that one day he and two friends decided to go swimming in the ocean. They each had an inner tube and they soon drifted a hundred or so yards from shore. Everything was going fine until they got caught in a riptide. The riptide carried them around its large oval path and even though they tried as hard as they could, they could not get out of it. They knew that they were in serious trouble and were scared for their lives. To their horror they saw a fourth friend swimming out to join them. He said they waved their hands and yelled at him to go back but he did not understand, it looked like they were having fun. They were out at the far side of the riptide’s deadly circle as they saw their friend get snatched up by it. It took a long time but they finally got connected up with the fourth guy and they all struggled in the tide together. Hours passed, the four of them grew exhausted as they struggled to get out. A crowd formed on the beach and the Coast Guard brought out a boat. The riptide’s path shifted and they would pass so close in shore that people were actually reaching out and trying to grab them as they went by. The boys would try to stand up in the shallow water but the current was so powerful that it knocked them off their feet. The coast guard boat was able to attempt rescuing them just one at a time as they passed on the ocean side of the riptide’s path, but even that was very dangerous as they were only able to shoot out a rope to them and by then the swimmers had prescious little strength remaining. Elaine’s brother was the last one in the tide’s grip and he told me that as he went around close to shore he no longer had any thing left and he let go. As he gave up and sank into the shallow water, someone was able to reach out and grab his arm just before he let go of his breath. Two of his friends made it to the Coast Guard boat but the one kid that they tried to warn off did not and he drowned. While that is a dramatic and tragic story, it was the one I thought of as I was struggling so hard at the beginning of our time at the Rock Inn and I would see other people opening up places in the Valley. In the four years we were at there, The Edge, just down the road went through four owners, Panama Jack’s went through four and Medley’s went through two. And those were just the places on Sprague that opened after we opened our place. But that is not to say The Ref will ever go under. I hope Fred does well and I believe that he has a much better chance than most given that he has other succesful businesses and owns the building. But I will keep warning others that, while The Ref may be doing very well and Fred may be having fun, most of the seeminly great opportunies in the hospitality industry are really waters churning with deadly hidden currents. The Ref will open Tuesday March 6th. To read the feature story I wrote on Fred after I wrote this blog, click here. Last October I blogged on the eminent opening of 2 new bars, Holly Rock and The Ref, in the Spokane Valley. The Holly Rock opened late that month but not so The Ref. 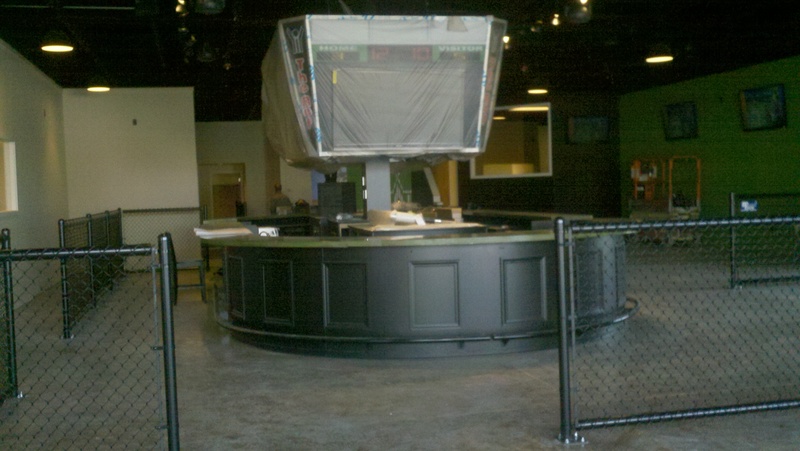 In other words, the people at The Ref are still having fun spending thousands of dollars creating their vision of the next version of a sports bar the world has been waiting for , while the people at Holly Rock are losing thousands of dollars as their eyes well up with tears, blurring out of focus whatever remained of the vision that inspired them to get into the hospitality trade. While my voice may sound cynical, it is a viewpoint that cost me a lot of money and tears to acquire. So well I remember 9 and half years ago as we excitedly worked at getting ready to open the Rock Inn. It was exhilarating to meet lots of new people from salesmen to band members to soon-to-be-customers. I painted the building, resurfaced the parking lot, bought a new sound system, and spent thousands on buying the existing business. We couldn’t wait to take over and start counting all the money. We finally got our liquor license on Halloween night and it was over the top. The next two years, in fact, were over the top with great crowds packing out the dance floor every Friday and Saturday night. But all the money we were counting went into everyone’s hands but ours. It took us a full two years to begin to make a profit and that was only because we were willing to work harder than I’ve ever seen any other owners work. I fervently hope that the Ref owners make money from the get-go. But I am afraid it will be rough going because beyond my own experience, I have watched very closely every place that has opened in the Spokane Valley for the past 10 years and have spoken to most of the owners and become acquaintances with many and friends with more than a few. The story is always the same just about every time. I guess to prove my point , fate delivered me a sad example between the few days since I began writing this blog and now as I sit down to complete it. Just last night as I sat among the revellers at Iron Horse’s 15th anniversary celebration I learned that Holly Rock closed last Friday. A friend told me he had just talked to Scott Lane (the landlord and owner of Hotties) who told him he just got it back from them. That means they lasted about 90 days. I rest my case. That does not mean The Ref will not last a long time. There is a good chance we will all be celebrating their 15th anniversary 15 years from now. Another person that I visited with last night was Mike Robb, who runs the Iron Horse with his wife Patty. He had told me before that it was very rough there at the beginning and that it took them two years as well to get established and begin making a profit. From all that I have heard of the Ref’s owners, they have the most important ingredient to making it in the hospitality industry: deep pockets, lots of dinero, capital with a captital C. From what I’ve seen they are spending lots of it transforming their 8,000 square foot space , which they own ( another hugely key ingredient), into a place the Valley can go to spend money and enjoy themselves. And though had they asked my advice I would have said don’t do, I still hope they beat the odds and create a great success that keeps building and building. I know I will be a fan of The Ref. The Ref Update: The Ref will be open Tuesday, March 6th. You can read a full article I wrote on Fred for our newsletter by following this link. Also you can like their page on Facebook or join their group. While I think getting into the business is a bad idea, I think they have some good ideas. This oval bar is one of them. This cement bar top is another great idea. Easy to maintain and it'll last forever. Here's to hoping the same for The Ref . 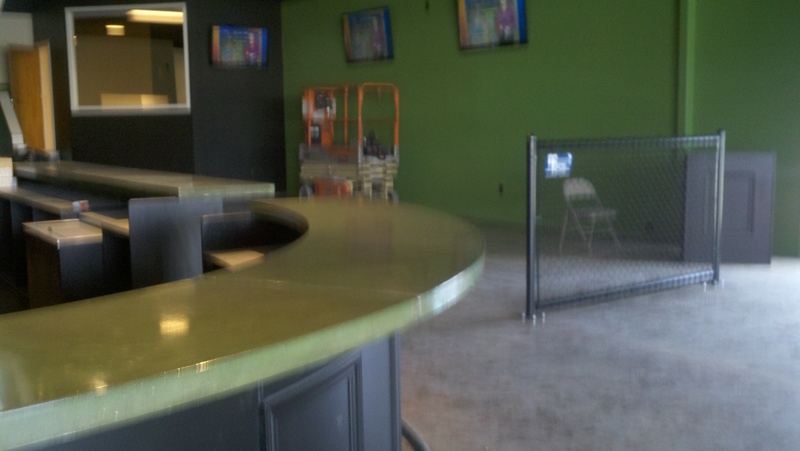 New blood comes into a place with big dreams and some cash, they are so excited getting ready to open. They open and the first night is a blast. Then the reality of what they just got themselves into starts to slowly creep in as they see things like how ugly and sad people are when they get drunk, and how depressing an empty bar is on a Sunday or Monday night . Things really start to get bad after a few months of taking in some times thousands less than it takes to run the place. That is when the new owners start looking for ways of getting out. If they are lucky they find one and it is nearly always the landlord fault. I saw that same exact movie four times after we left the Rock Inn. Some of the details were different, but the beginning and middle and ending were remarkably similar and Jack Riley, the landlord was always the badguy. So after getting this comment, I went to down to talk to Holly Rock’s bad guy, Scott Lane. The jist of what he said was that the owners of Holly Rock told him on around the first of February that they would be vacating the premises after they held a big party after Mardi Gras. That made Scott mad and so he told them that he would be taking back his liquer license that they had been operating under since they opened. Some of it doesn’t quite add up but over all it sounds about right. Holly Rock could have fought it hard if they wanted to and why did they never bother to get their license. Scott could have worked with them and made a smoother transition for himself instead of getting the place back in his lap overnight. But I really don’t care about all the details. Whether the people at Holly Rock want to believe it or not, I still say it was the same old story and they were lucky that it was a short story. And if they are serious about a part two, they can march right back down to our old place where they were originally going to open at Sprague and Vista. That old building is like a haunted theater that keeps replaying the same old scary movie. Landlord gets the business back in the middle of the night, his building has been improved while he was away... I am just sure I've seen this picture before. Lastly, go back up and check out the comments where Fred Lopez, owner of The Ref ,blasts the Scoop and the Scoop sends back a savory salvo.